Police Scotland, who had previously stated that two Bo’ness incidents were not linked, have now stated that they are. A 40-year-old man from Bo’ness has appeared in court charged with a number of offences including two of a sexual nature under Sexual Offences (Scotland) Act 2009. Robert Gill of Stewart Avenue appeared on petition at Falkirk Sheriff Court on February 3. The accused made no plea or declaration and the case was continued for further examination. Gill was bailed to appear at court again on a date yet to be set. His flat in Stewart Avenue has since been boarded up. 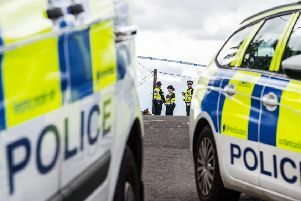 On Tuesday evening, we reported on an assault which took place in Wotherspoon Drive, which was described by the police as an ‘altercation’ resulting in one male receiving injuries requiring treatment at Forth Valley Royal Hospital. Police have not named the victim of the assault, but did confirm another male had been detained and a report will be sent to the Procurater Fiscal for consideration. The police refused to make any further comment.